After our brief, out-of-the-way diversion to Iași, we jumped on the train and made our way to Romania’s beautiful capital, Bucharest. 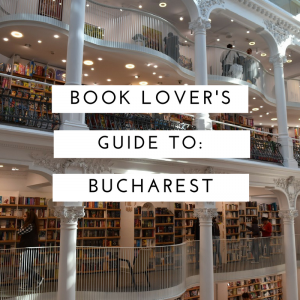 We’ve heard great things about this city, especially from a booklover’s perspective, so we were eager to visit and find out exactly what Bucharest had to offer! An English-language bookstore in the heart of Bucharest, Anthony Frost is large, spacious, and bright, stocking a significant number of books in a wide range of genres. While their classics, sci-fi and fantasy selection might not be as expansive as some of the others on this list, Anthony Frost is the go-to place if you’re after an English non-fiction or contemporary fiction book. In addition, you’ll find an impressive range of philosophy, historical and biographical books to choose from. X-Factor: Creatively laid-out and designed, keep an eye out for an entire bookshelf dedicated to staff recommendations! A large, sprawling bookstore encompassing two levels, Humanitas contains a huge range of international books translated into Romanian, as well as an expertly-curated selection of English new releases that cover mainly contemporary literature and popular genre fiction. X-Factor: Check out the café with veranda looking over Kretzulescu Church and enjoy a cup of tea or coffee as you dig into your new book. A gorgeous bookstore, with a huge skylight and balconies that overlooked the open-plan ground floor. Every wall was filled with books, and the spiral staircases, bright rooms and grand design reminded us of a fairytale library. 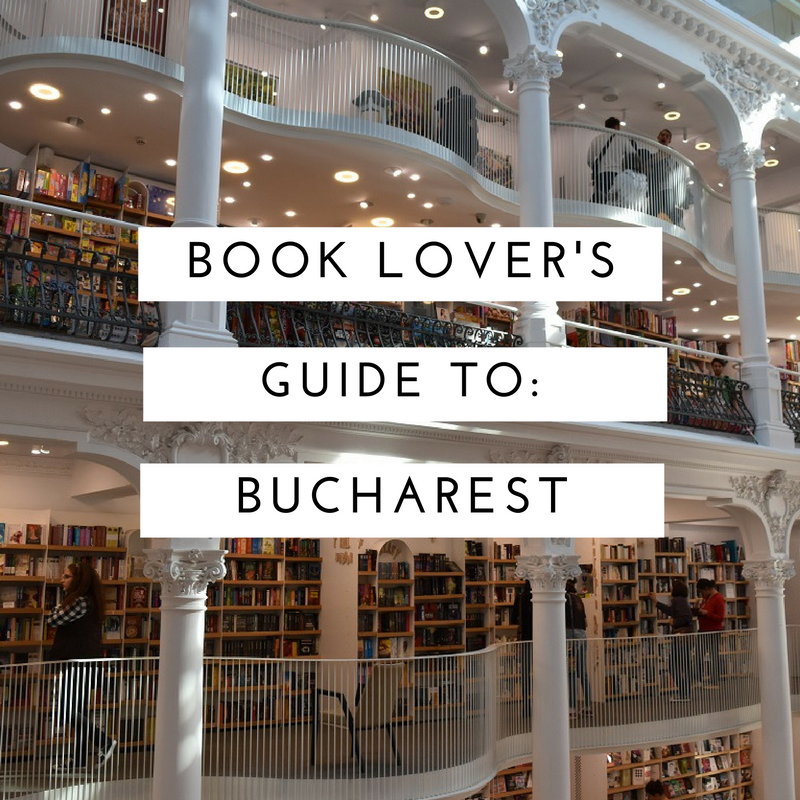 One of the highlights of our trip to Romania, if you call yourself a book lover you cannot visit Bucharest without feasting your eyes on this store. X-Factor: Aside from the gorgeous interior and the top-floor café, Carturesti also offered an expansive selection of Manga and graphic novels in the basement. One of the few bookstores we visited that didn’t contain a single English-language book, everything about this bookstore oozed France. From the décor, the books, and the staff, a native-French speaker will feel right at home in this wonderful little shop. We spotted a huge selection of novels in a variety of genres, including popular English authors such as Stephen King, all translated to French. In addition, there was a small range of comic books and graphic novels, as well as a selection of French music. And if that wasn’t enough, Kyralina have dedicated several shelves to educational materials for French language students, such as dictionaries and text books. X-Factor: An adorable little children’s area filled with picture books – in French of course – accompanied by little cushions for the kids to relax on! Tucked away in an unassuming residential street is a hidden bookish gem. Piua Book Bar’s dual slogans are “The best drinks you can read,” and “The best books you can drink.” I’m not sure what either of those really mean, but it’s a chilled-out hipster location, and a must visit for book lovers. The walls are decorated with bookshelves filled with colouring books, Romanian novels and board games, all for sale. The window sills sport old typewriters, and the menu is peppered with literary references! I tried the ‘Raspberry Finn,’ a Huckleberry play on words. Their drinks range certainly doesn’t disappoint either, from flavoured coffees (gingerbread! ), creative milkshakes (kiwi with macadamia nuts! Interesting…) craft beers, organic herbal teas and a huge range of cocktails, mocktails, shots and spirits. X-Factor: A+ atmosphere, especially upstairs with cosy couches, window seats and space for live music. The best bookstore I’ve ever been to, and I’ve been to a lot of bookstores. From the outside, this shop is somewhat unassuming. Granted, it’s in a beautiful old manor-style home, but the exterior gives nothing away as to what lies within. When you enter through the large double doors, however, you quickly realise that Carturesti takes up the entire building. All three floors, plus attic. Gorgeously laid-out and planned, Carturesti sold not just books, but giftwares, home goods, wines, food, music and toys, and was stocked in an ingenious manner: wines could be found in the wine cellar, food in the kitchen, giftwares in the lounge room and so forth. It was like walking through a wealthy eccentric’s home with a price sticker on everything on display. I cannot stress enough the need for book lovers to visit this bookstore, it’s amazing. X-Factor: The attic, which was filled to the brim with young adult and middle-grade books, as well as couches and beanbags for people to kick back and rest. Accessing this library is best done through the back way as opposed to the impressive marble/granite front. With reception at the back in the modern section, inform them that you want to visit as a tourist and they should be able to slot you in to the next available tour. This library was gorgeous, but the professor’s room, the king’s reading room and more are only available to those on the tour. X-Factor: Tour is free, and the added historical context brings this beautiful old library to life. To get to this library, which is nestled inside an imposing blackened stone building, you need to enter through the main doors, take the stairs to the first floor and look for the small ‘biblioteka’ sign on a set of unassuming doors. Inside, you’ll see the gorgeous reading room with balconies that seem to groan under the weight of the volumes this library owns. Primarily used by students, this is not the kind of library you can wander in and chat in, but is nonetheless beautiful to visit and enjoy briefly. X-Factor: It’s hidden nature makes you feel like an adventurer as you hunt it down! A fair distance from the city centre, this café/bar/bistro is probably only one to visit if you are journeying out to the Natural History Museum. Aimed towards attracting the local professional crowd, Reader’s Café seems suited to business lunches and post-work drinks. The décor is quite bookish – bookshelves in each room, mostly old leatherbound volumes that aren’t for sale – and book wallpaper downstairs. There is a nod to Hemingway in a couple of the drinks, as well as a quote from him in the menu. X-Factor: The menu is designed to look like a newspaper, which I think is awesome. Rounding out our tour of the Carturesti bookshops (as well as Bucharest bokshops in general) is Carturesti Fandom, a specialised comic/graphic novel/fandom merchandise store. Small, but packed with mostly English comics, Fandom also offers Romanian translations of comics from around the world, as well as work by local Romanian writers and artists. X-Factor: Fandom and comic heaven! Bucharest was an absolute treat to book lovers such as ourselves. The Carturesti chain was absolutely magical, and once again we cannot understate the necessity of visiting at least one, but preferably all of them when visiting this lovely city. But that’s enough about Bucharest, stay tuned next week for the bookish delights of mysterious Sofia, the capital of Bulgaria!